If you have a specific contact for a Client, you can add their contact information here. 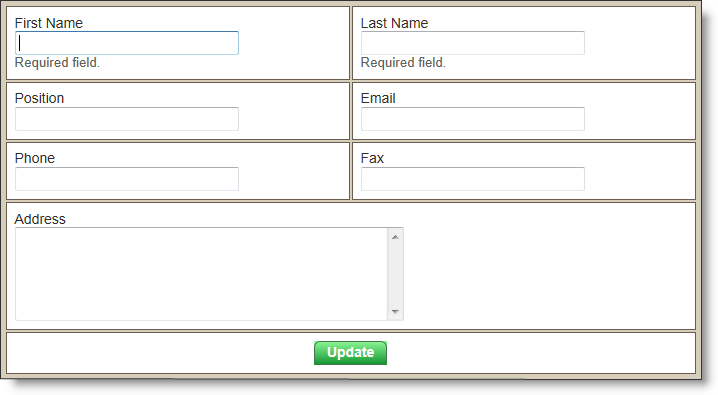 The Client Rep information can be used for preserving contact information, but it can also be used for email notifications. Using Broker Brain's auto tasking feature, you can use the %client_rep_email% or %sub_client_rep_email% macros to send automatic email notifications directly to the Client Rep's or Sub Client Rep's email address. For more detailed information on use of this feature, click here. 3. Complete the fields and press Update. Each new rep that you add will appear in a list directly below the New Rep icon. If there is only one rep associated with a given client, select that rep as the default rep. This will allow the rep's information to automatically populate on the Main page of all properties that are owned by the corresponding client. Phone numbers should be entered area code first. No dashes or spaces are required, and phone extensions are permitted.